The Pilanesberg National Park is not Kruger. It doesn’t pretend to be. It’s a lot smaller, for one. But therein lies its attraction. 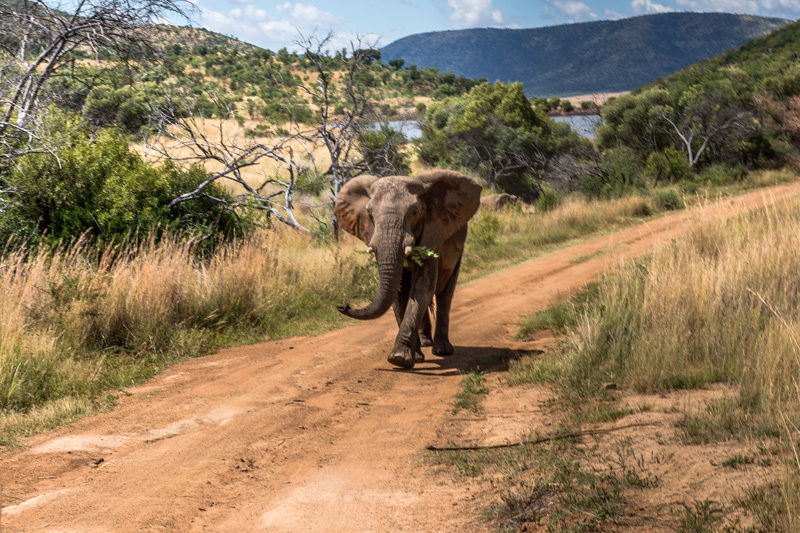 Because instead of driving for hours along vast stretches of sand road without a sighting, the Pilanesberg’s generous grasslands, rocky outcrops, sloped hills, dense pockets of vegetation, and thickly wooded gorges are home to the Big Five and 30 other mammal species besides. And that’s without the added attraction of 350 bird species, 65 reptiles and a really good chance of spotting a cat (if sighting the beautiful violet wood hoepoe doesn’t get you excited). 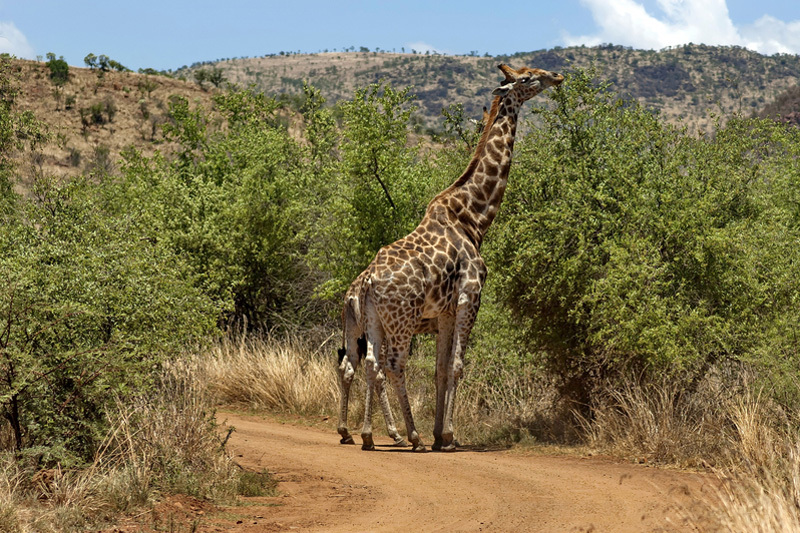 The 570 k㎡ hectare park that borders Sun City lies on the other side of the Madikwe Game Reserve from Botswana and rests in the hollow of an extinct volcano crater that erupted 1300 million years ago. 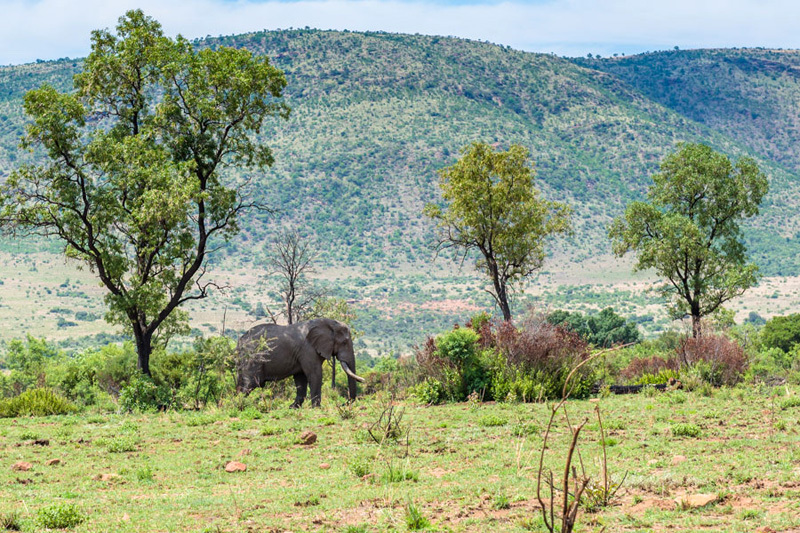 What makes it appealing (other than the chance to spot game) is its beauty, and its ideal location for day trips (did we mention that it’s just over 2 hours’ drive from Johannesburg?). 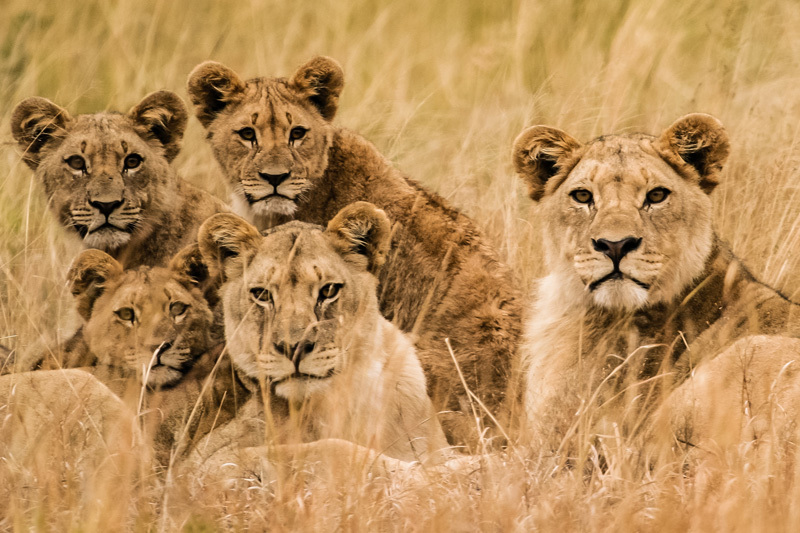 You can spot lions in the Pilanesberg – cat sightings are common. 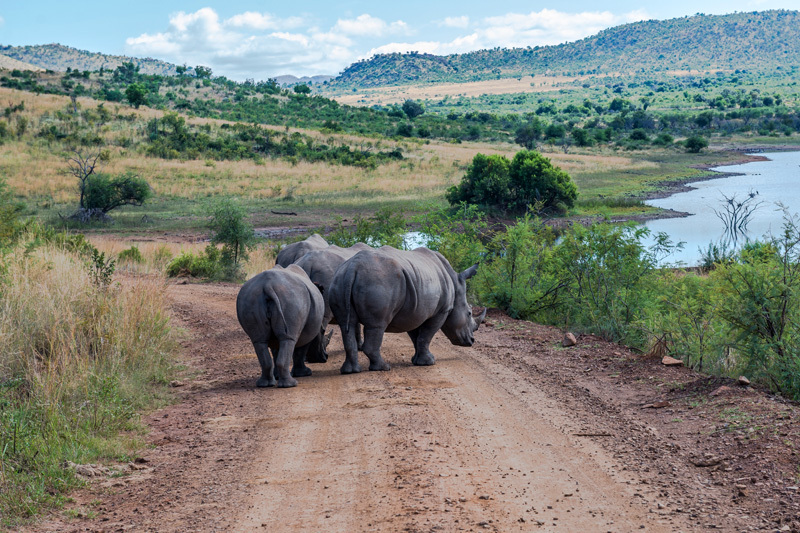 you’ll be able to fulfill your ‘bush craving’ in just over two hours’ of Johannesburg. 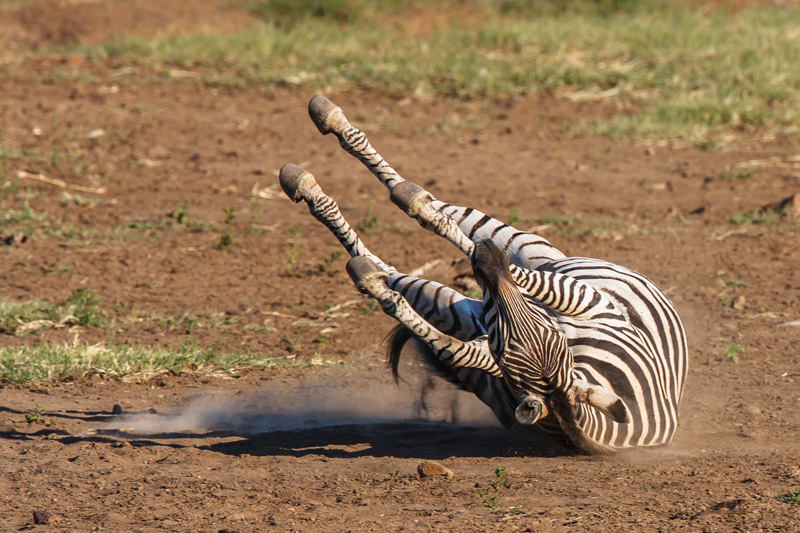 You’re almost guaranteed of a rhino sighting, and, provided that you’re as happy to see a white rhino as you are to see a black rhino (there are far fewer black rhino in the reserve) then they’re virtually as common as giraffe, zebra and hippo sightings. Head to Mankwe Dam, a bit of a misnomer for the biggest body of water in the game reserve that is more of a lake than it is a dam. Without doubt this area has some of the most beautiful scenery in the reserve. Kingfishers are a dime a dozen here, leguans sun themselves on the banks, whilst the bird hide is a wonderful space from which to spot game as it comes down to drink (you’ll even sight elephant and rhino with a bit of patience). Let the game come to you, rather than driving aimlessly around the reserve hoping to spot it. If all else fails, try Hippo Loop down at Mankwe Dam. Other than seeing hippo (obviously), it’s also known for the odd lion or cheetah sighting as they use the open veld to hunt. And the viewpoint just north of Batlhako Dam is the best kept secret in the reserve, as far as space for yourself in amidst nature goes. The highest peak in the park is Pilanesberg. It overlooks Mankwe Dam where the combination of mountains, plants, wildlife, plains and rock ridges is effortlessly beautiful, and the water animal life spectacular. It isn’t just the cats and big animals that draw people. The antelope at Pilanesberg include the unusual sable, roan and tsessebe, whilst the reserve is also home to a pack of wild dogs, southern Africa’s most endangered large carnivore . 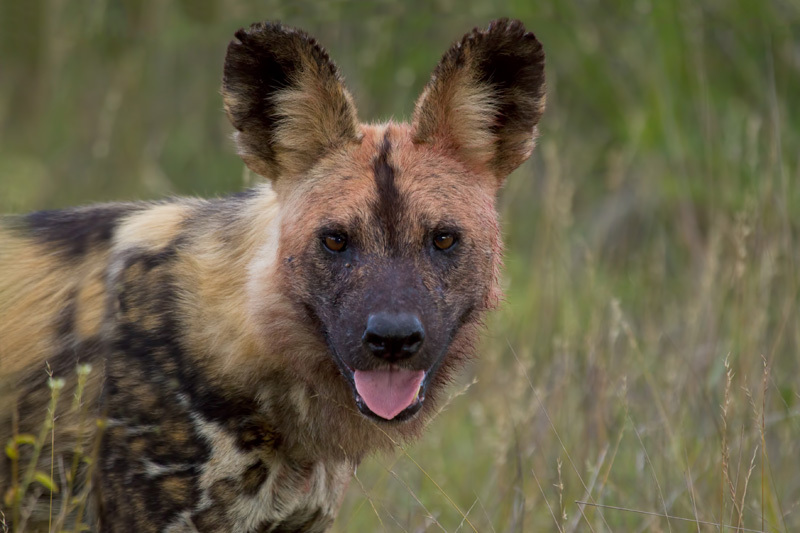 There are only 6 000 wild dogs left in the world and they’re really difficult to sight, so catching a glimpse of them whilst in Pilanesberg is probably even more of a bonus than spotting a lion. Right in the middle of the volcanic crater in which Pilanesberg rests a crack occurred, way back when, cutting the Pilanesberg in two. Over time a valley formed in the crack and you can drive through the middle of this valley on the Tlou Drive. Tlou Drive passes through Acacia thickets and open grassland – incredible bushveld country, in other words – and aside from spotting plenty of game in this way, you might also sight a violet eared waxbill with its incredible blue, red and violet feathers. 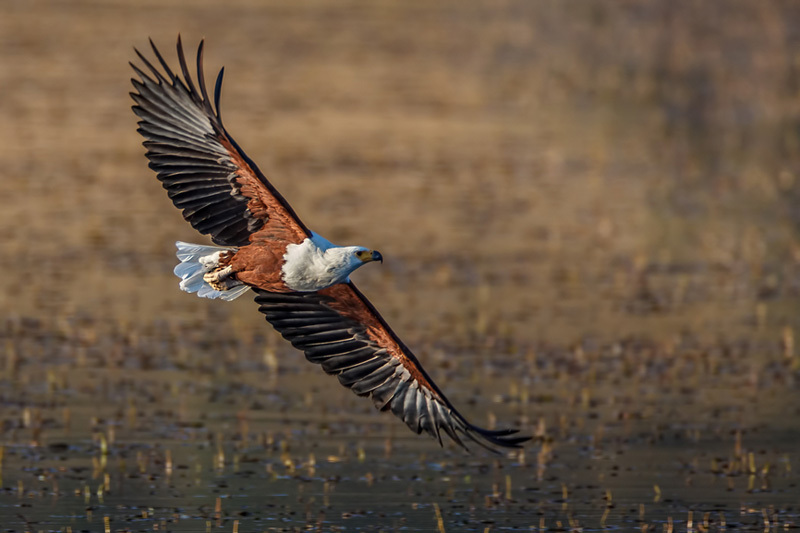 For the enthusiastic birder, Pilanesberg is a find. There are numerous bodies of water with bird hides, aside from Mankwe Dam. 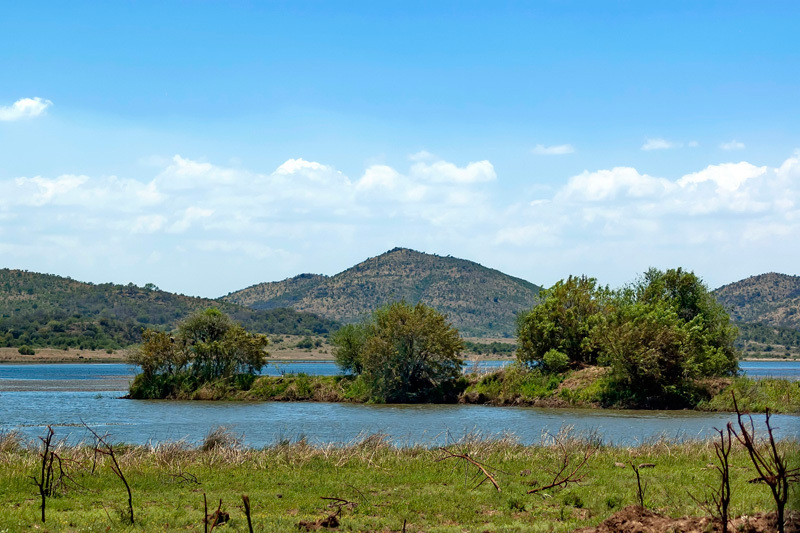 Makorwane dam has a good bird hide, plus the bonus of hippos and, occasionally, elephant; Tlou dam is more of a waterhole and a great spot at which to simply park and wait a while; the hide at Ruighoek Dam is a find, mostly because it tends to be quieter; whilst Tilodi and Lengau dams do not have bird hides, they’re good places at which to park and spot birds; and Malatse Dam hide is on a little island from where you might even spot a fish eagle. The best places for spotting elephants, rhino, lion, crocodiles, birds, terrapins, hippo, monitor lizards and more are the Mankwe and Makuwani hides. You can hot-air balloon over the Pilanesberg. Any game viewing is a bonus for the views alone are heady stuff. The experience of flying at sunrise above the reserve is rated as one of the best ways to see the Pilanesberg National Park (if you’re doing this in winter, remember to wrap up warmly as it can get very cold up there). And the big cat sightings? Well, like all things in the natural world, nothing is guaranteed. You’ll need patience and good timing, for one. But getting out on game drives early morning and evening helps too, as do guided rides. It’s malaria-free and there are numerous game and bush lodges within the Pilanesberg in which to overnight in the reserve. April, May and September – easier to spot wildlife.